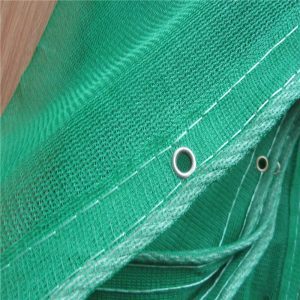 Fine Mesh Debris Safety Netting with its installation surface not perpedicular to the horizontal plane is called horizontal netting or flat netting. It is a durable mesh fabric designed to prevent people and objects falling, or to avoid and reduce physical injury of such fallings. Horizontal safety netting is mainly used to catch falling persons and objects in construction of buildings. 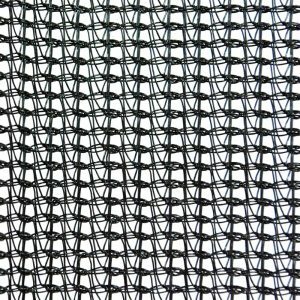 This heavy type debris netting is knitted in a strong high density polyethylene (HDPE) or a flexible polypropylene (PP). Debris Safety Net can include both horizontal scaffolding sun/wind blocking netting and vertical debris netting to create a barrier system for the construction site safety and for improved productivity with less cleaning up time. 3, 6 and 9 Needle Knitted types available. Debris netting used as Horizontal Safety Net has a fine high dense opening of maximum 2000 mesh per 100 square centimeter while common vertical safety netting (max. 800 opening per 100 square centimeter). The high density mesh allows it to prevent articles with bottom area under 100 square centimeter and offers better safety features. Secondly, horizontal netting is knitted with very special method, with firm knots, uniform openings and sizes. It is firm, tough, durable and economic. Thirdly, this products offers good air permeability, can be closed for working and keep the constructional site nice and clean. Fourthly, The durable HDPE or chemical fiber materials are fire retardant.